Massey’s Master of Science (Animal Science) will allow you to make a major contribution to animal science. Whether you want to take a first step in a research career or would like a specialised role in livestock or animal industries, a MSc (Animal Science) will give you the skills you need. A master’s builds your capability in sourcing, generating and interpreting quality information to make informed decisions. You’ll develop specialised knowledge in your chosen field. Massey University provides an excellent environment for your animal science masters. We have an active research programme in many areas of applied and theoretical aspects of animal science and much of this is funded by industry. This means as a master’s student you have the opportunity to research a relevant issue and generate solutions for the real world. We also host The International Sheep Research Centre which leads the world with its investigations into sheep husbandry and related areas. Postgraduate study is hard work but hugely rewarding and empowering. The Master of Science (Animal Science) will push you to produce your best creative, strategic and theoretical ideas. The workload replicates the high-pressure environment of senior workplace roles. Our experts are there to guide but if you have come from undergraduate study, you will find that postgraduate study demands more in-depth and independent study. This is a 180 credit taught degree which will take 1.5 years if you study full time. You can choose to include 60, 90 or 120 credits of research. I grew up on a dairy farm in the Waikato and always loved working with animals. Doing science fair projects at high school gave me a taste of researching into animal health issues like mastitis. Working in research appealed to me as I wanted to help find practical solutions to the problems experienced by dairy farmers. Massey’s reputation in this area attracted me to the university, as did the number of agricultural-related scholarships. The prospect of getting financial support encouraged me to work hard at school and throughout my university studies. Summer placements at both DairyNZ and AgResearch fulfilled the practical requirements for my undergraduate degree, and gave me a feel for what it would be like to work at reputable research organisations. I made some great industry contacts which have ultimately led to my first full-time job at DairyNZ. While with DairyNZ, I concurrently worked on my Master of Science (Animal Science) at Massey (as a distance student). I’ve had amazing opportunities, attending two international conferences, and even getting invited to speak about my research at one of these. In 2012 I won a scholarship from CRV Ambreed to travel to The Netherlands to learn about herd improvement and dairy systems in the country. In 2016 I start a PhD in Dairy Science at Virginia Tech in the US. I’ll be continuing in the area I am passionate about - animal health. On my return to New Zealand, I hope to take up a post-doctoral position and eventually become a recognised dairy scientist, helping New Zealand farmers to use more efficient and sustainable practices to improve productivity and profitability. 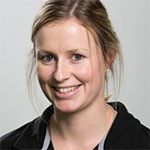 Dr Sarah Pain worked as a lecturer in animal nutrition and metabolism at the University of Adelaide before moving to New Zealand in 2008. 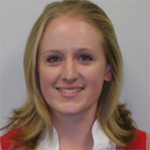 Dr Pain’s research focuses primarily on animal nutrition, reproduction and physiology. She has worked with a range of animal species over her current career including fish, wallabies, chickens, pigs, horses, cattle, deer and sheep. Dr Pain’s research projects currently include studies in New Zealand, Australia, Uruguay, China and India. Her current focus is on sheep reproduction and nutrition, working with the International Sheep Research Centre (based at Massey University). In particular how a developing embryo or foetus interacts and communicates with their mother under different uterine environments.